Leading Manufacturer of potato chips making machine from Noida. 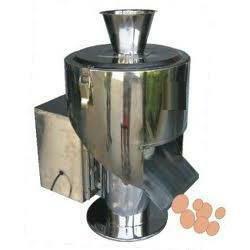 Being a well established organization, we bring forth an excellent array of Potato Chips Making Machine. Our offered range is widely appreciated by our prestigious clients for their easy maintenance and durability. The offered range is available in various technical specifications and is widely used in various industries for processing food items. Our offered products are manufactured by a team of our skilled professionals utilizing quality approved components and the latest technology. SS hopper with feeding screw for potato feeding. Looking for Potato Chips Making Machine ?